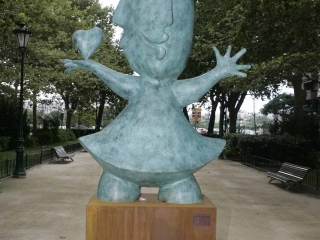 In this sculpture, Juan Ripolles has managed to capture the essence of a loving family within one artwork with the use of his double frontal technique. "Maternidad" showcases 3 individuals - a woman, a man, and the unborn child. 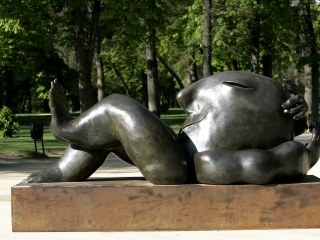 The woman, on one side of the sculpture, has been illustrated to be pregnant, expecting the unborn child shown on her belly. On the other side, Ripolles shaped a man with a big red heart on his chest. The heart is a representation of his immense love for his wife and unborn child. 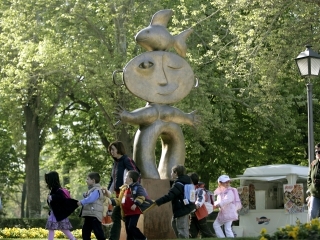 This formation of an entire family in one sculpture also brings out the notion of the family being one entity despite having comprised several individual members. 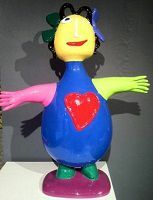 Ripolles continues to use multiple bright colours in this sculpture, giving his viewers a sense of a happy and joyful family. 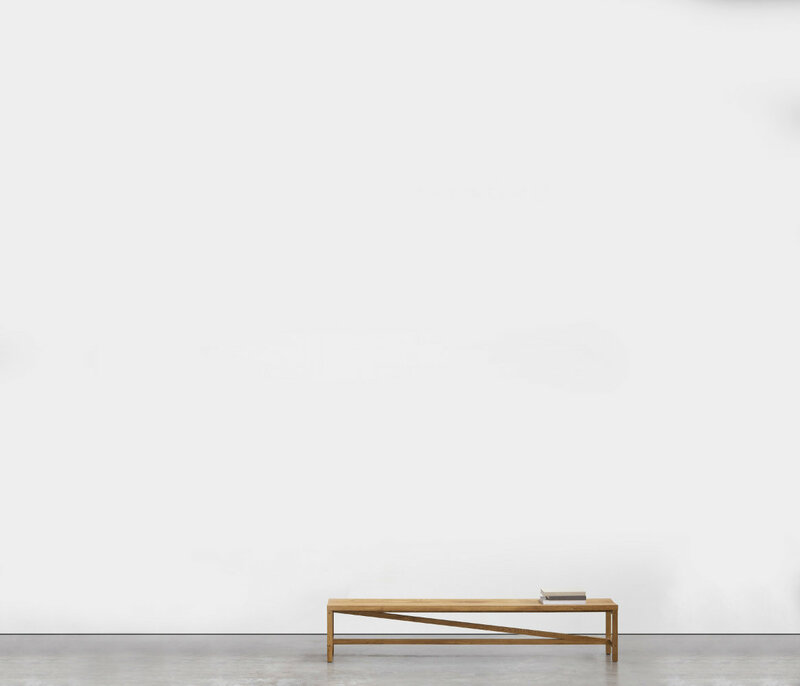 A very personal style, the independence of shapes, the complicity of the colours and a strong inspiration drawn from nature and man allowed Ripolles' art to open doors throughout the world. First, together with the Drouand gallery and later independently, he projected his recreation of vital and intense settings, rich in hues and emotions, all over Europe, in Germany, Belgium, Holland, Italy and France, before embracing other continents, such as America, with exhibitions in the USA and Mexico, and even Japan. 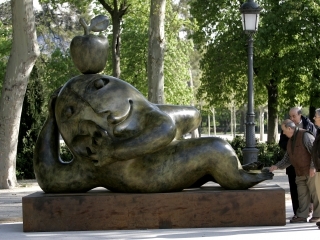 I'm interested in this Maternidad (Maternity) by Ripolles. Please advise availability and price. Thank you.